Bring out the streamers, noise-makers, and crazy hats – it’s New Year’s Eve! 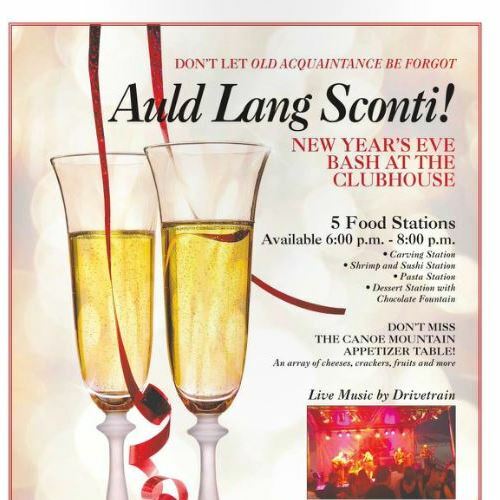 Once again the Clubhouse in Big Canoe will host an extravaganza to welcome the new year. The two-tiered party has been so popular that we’re doing it again. What’s two-tiered, you might ask? Well, some folks enjoy a fancy sit-down dinner to set the mood for an elegant evening ahead, while others like to show up ready to party hearty before the ball drops. The New Year’s Eve dinner will begin at 6:00 p.m.